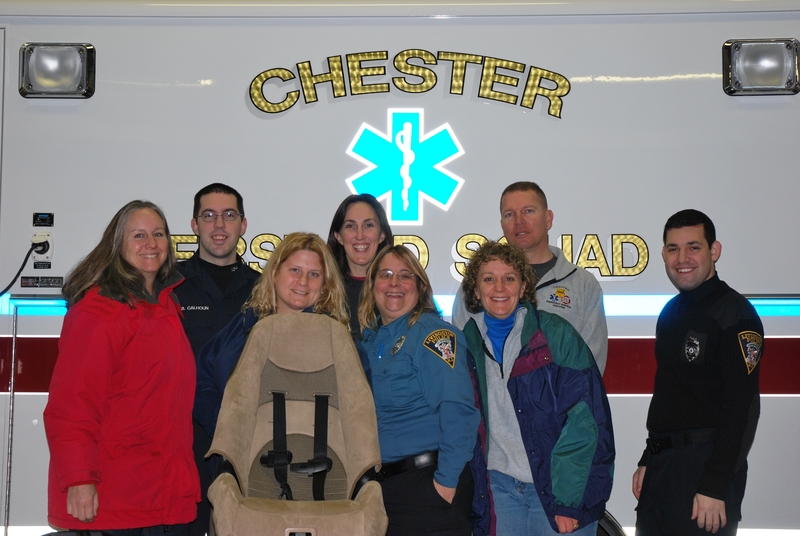 The Chester Car Seat Inspection Station celebrated its 1st Anniversary on Thursday, January 21, 2010. The Child Passenger Inspection Station opened in January 2009 as an expansion to the Child Passenger Safety (CPS) Program of Northern NJ Safe Kids/Safe Communities. The station has become a visible force for CPS in Morris County. On average 15 car seats are inspected by our certified Child Passenger Safety Technicians. 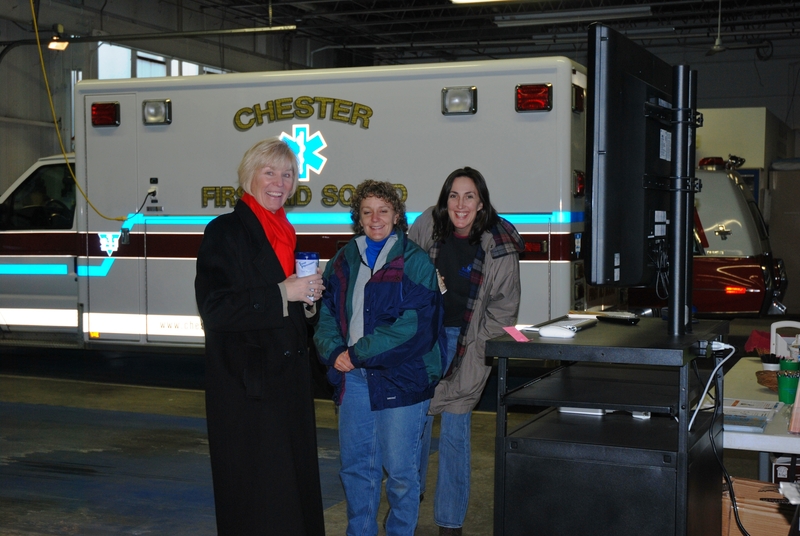 Our partner, the Chester First Aid Squad has donated the use of its ambulance bays and a storage area for the program. Additional funding has been secured by the New Jersey Division of Highway Traffic Safety and Morristown Memorial Hospital as well as Safe Kids Buckle Up and individual donations. Pam Fisher, Director of NJ Division of Highway Traffic Safety, Jackie Leach, CPSTI and Laurie Cawley share a laugh at the 1 year anniversary of the Chester Car Seat Station. Hours of operation are the 1st Tuesday of the month 2pm – 6pm and the 3rd Thursday of the month from 7am – 12pm. The Chester First Aid Squad is located at 100 North Road in Chester. For more information call 908- 879-5560.